Herlihy: smiling or is there a fire? ...at Ed's? Many things. While the items being served up are the same night after night, what distinguishes one panino, milkshake, smoothie or whatever from another is the customer service rendered by the C.S.R.- the Culinary Service Representative. C.S.R.s are a dedicated group of Stedsmen, who have been thoroughly trained in the sandwich and milkshake arts, providing sustenance to extinguish any late night cravings. They do that and more... because they do it all with a smile! 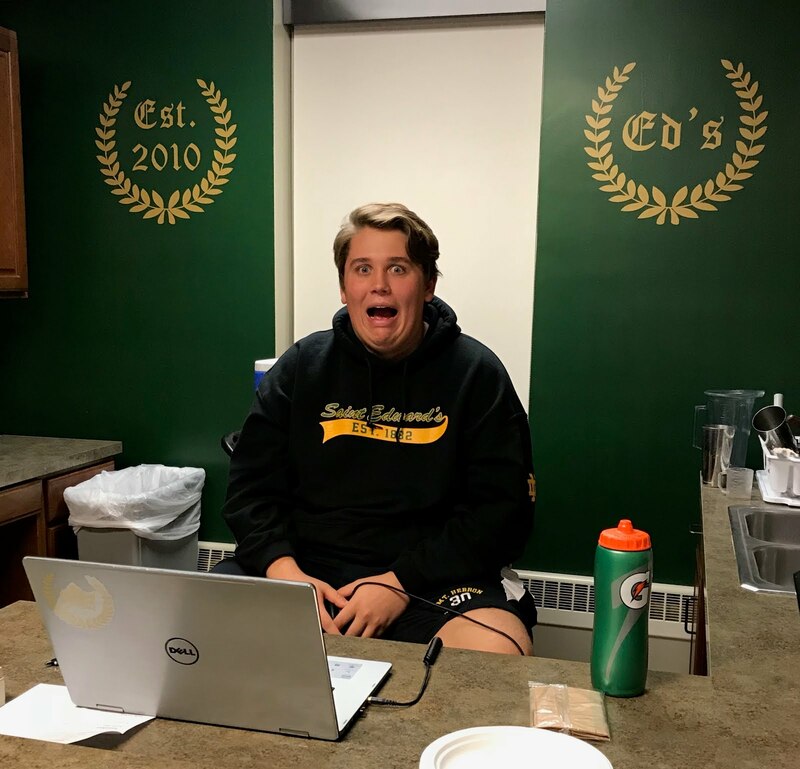 On what make his customer service distinctive, Joe Herlihy, Steds freshman, Hall baseball player, and C.S.R., said, ""A smile is a curve that sets things straight!"